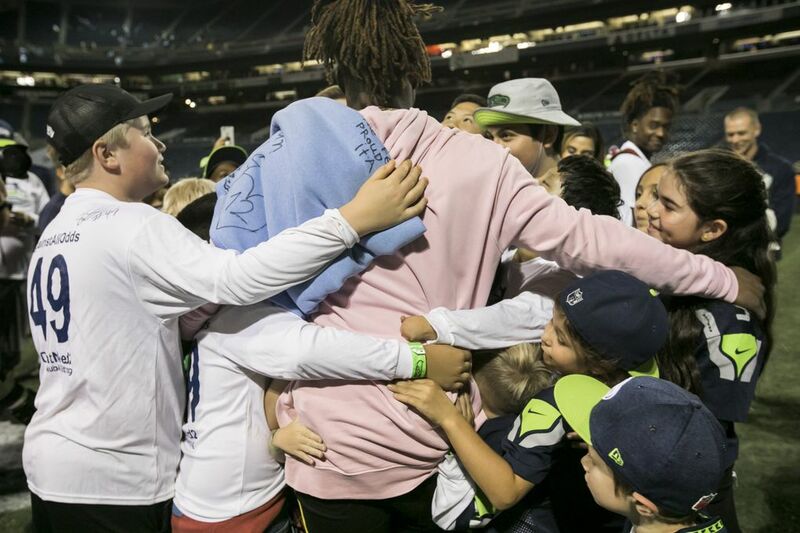 Born with amniotic band syndrome that resulted in the amputation of his left hand, Seahawks rookie linebacker Shaquem Griffin has overcome much in his young life. Now, he's inspiring other differently abled kids all over the country. 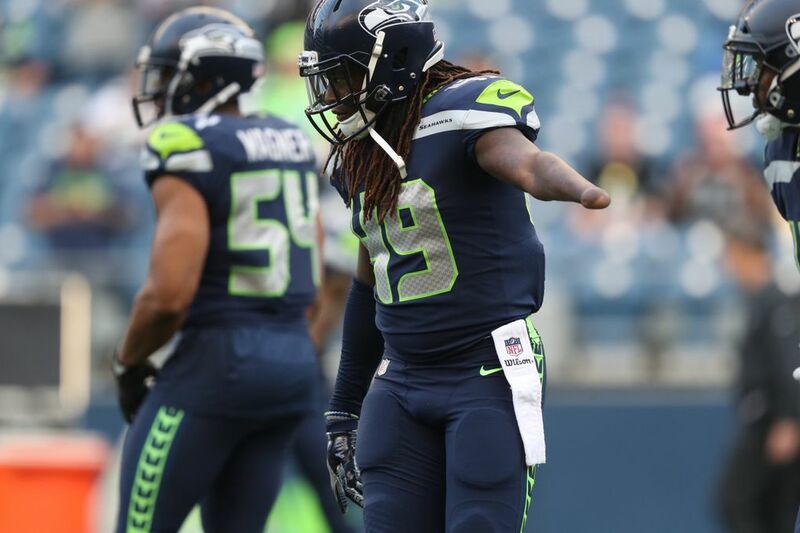 This is not another Shaquem Griffin story. By now, you’ve probably heard how that one goes. Griffin — a 6-foot, 227-pound rookie linebacker for the Seattle Seahawks — was born with amniotic band syndrome, a congenital disorder that disrupted the development of the fingers on his left hand. Every time the hand banged on his bed frame or brushed against his twin brother, streaks of pain burned through his body. When he was 4 years old, the hand was amputated. He played football and baseball and ran track anyway. He earned a scholarship to the University of Central Florida anyway. He was named 2016 American Athletic Conference Defensive Player of the Year anyway. He was drafted by the Seahawks in the fifth round of the 2018 NFL draft anyway. 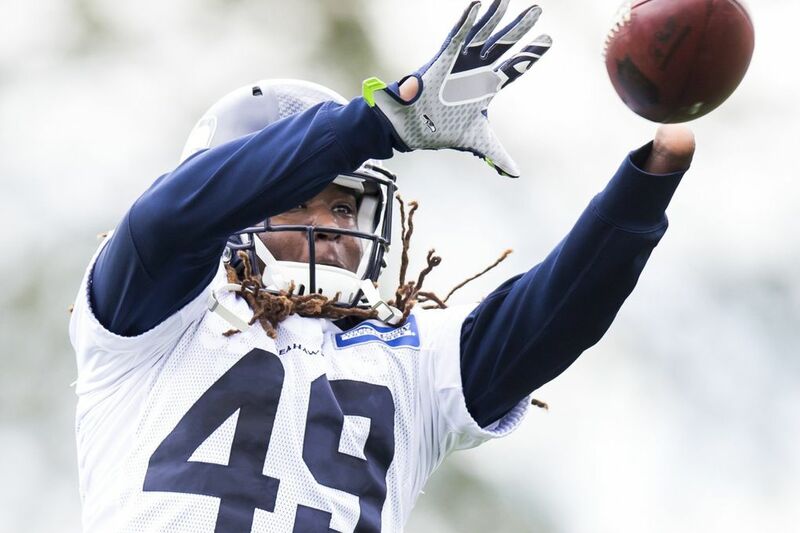 He reunited with his brother — second-year cornerback Shaquill Griffin — on Seattle’s active roster anyway. He told his story anyway, and in doing so, Shaquem became much more than an anonymous fifth-round pick. He became a symbol for countless kids subjected to similar circumstances. He became a running, tackling, pass-rushing personification of perseverance. He became the unlikely centerpiece of Nike and Gillette’s nationwide commercial campaigns. He became an example. And, no, that’s not too much for a 23-year-old rookie in Renton to bear. “I never felt that way,” Shaquem said this month of the pressure associated with his spotlight. “I do what I do. I live my life the way I’ve been living it. I haven’t changed anything. “A lot of people say, ‘Do you feel a lot of pressure?’ There’s not that much pressure, to be honest. You meet kids. You talk to people and tell your story. If you’re a person who likes helping people, you’ll never be overwhelmed with all these people you want to help. I don’t feel like I’m overwhelmed from meeting people and telling my story over and over again. So Shaquem will keep doing what he does — running, tackling, smiling, serving. He’ll keep telling his story, so kids like these can tell theirs. The 3-year-old boy from Gibraltar, Mich., with the dark blond hair and rosy cheeks — who was born without a left hand — will occasionally approach his mother or grandmother and give voice to an observation. Blake assembles Hot Wheels tracks anyway. He eats and dresses himself anyway. He holds onto a miniature football anyway. On Oct. 28, Blake didn’t play football with Shaquem. But the alternative was enough. 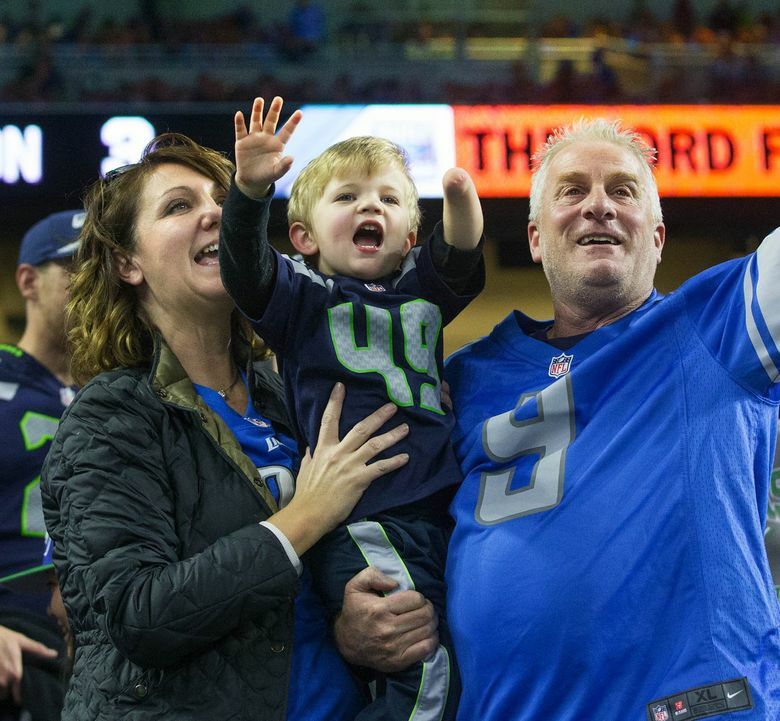 When Holland — a Detroit Lions season ticket-holder — saw the 2018 schedule, she instantly decided to take her grandson to see the Seahawks. She sent an email to Seattle’s public-relations staff, which accommodated Blake with pregame passes on the Seahawks sideline. While the team was stretching on the field, assistant strength and conditioning coach Mondray Gee walked over, scooped Blake up and made an impromptu introduction. Shaquem and Blake bumped fists — Shaquem’s right hand, and Blake’s right hand. America agreed. During the Seahawks’ 28-14 victory over the Lions, Fox broadcast Blake lifting his hand and waving at Shaquem. He also wore a Shaquem Griffin jersey, which the family had custom-made before his official jersey became available. Unsurprisingly, the video went viral. Blake was an instant, unintended social media celebrity. In the weeks since, Blake has been written about multiple times. He’s been on television (just like Shaquem). He’s run around the house, holding that little football, yelling, “Go Seahawks! Go Seahawks!” He’s worn out that No. 49 jersey. He’s dealt with adversity, too. “There was a time at the park where some kids made a comment to him and he did kind of hide (the nub) behind his back,” Holland said. “They were playing a game — ‘Keep away from the monster,’ the boy with no hand. Even at 3, Blake Venier knows he’s different. He also knows he’s not alone. Daniel couldn’t help but cry. In September, the 11-year-old from Red Bluff, Calif. — who was born without a right hand, also the result of amniotic band syndrome — opened the lime green gift bag and pulled out a Shaquem Griffin jersey. He held the jersey against his face, the blue fabric concealing what was clearly a wide smile. He cried. And his mother hugged him, and he cried harder. He cried and he smiled, and he wiped his eyes with his nub. Then he said, “Thank you,” through the tears, and he put the jersey on. But it wasn’t the first time he’s worn a football jersey. “He has been asking me for years to play football, and about three years ago I finally gave in,” said Daniel’s mother, Maylissa Carrillo. “He only wants to play football, and now he has this vision of what he wants to do with the rest of his life. But first, the 11-year-old Spartan will travel to Seattle on the weekend of Dec. 2, to watch his favorite team (the 49ers) meet his favorite player (Shaquem). Oh, and he doesn’t know this, but Daniel will meet him, too. It’s true, the offensive guard with big dreams from a small town in northern California doesn’t know everything. But he knows why he cried. 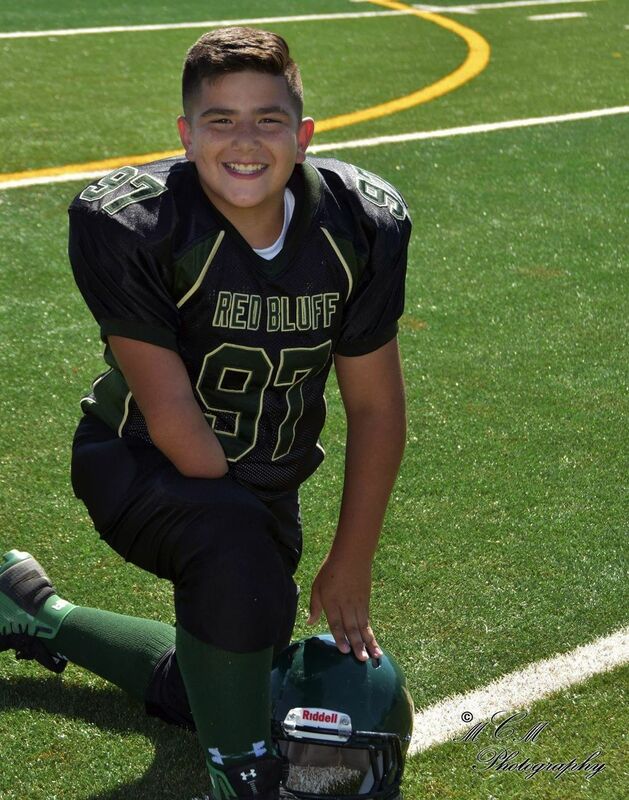 Alex was born without nearly his entire left forearm. He participated in football, baseball, basketball, wrestling, soccer and track and field anyway. He was named the Mountain Valley Conference’s back-to-back defensive player of the year at two different positions anyway. He flipped from defensive end to middle linebacker before his senior season and finished with 117 tackles, 21.5 tackles for loss, four sacks and four forced fumbles at West Salem (Ore.) High School anyway. He deadlifted 500 pounds anyway. He accepted a full scholarship to the University of Montana anyway. But not everyone thought that was possible — Hurlburt included. “I set my sights on (playing football at) a D-III school when I was early in high school,” Hurlburt told The Times last week. “That’s where I thought I could play. I never dreamed of playing at a high-level D-I school or a school like Montana. I never thought about that. Still, not all college recruiters agreed. Hurlburt earned just two Division I offers, from Montana and Portland State. And in both cases, he had to prove that his film was not a fluke. “It felt like, if I wasn’t in front of the coaches they wouldn’t believe what I was capable of,” said the 6-foot-3, 220-pound linebacker. “I think it did impact my recruitment a little bit. Speaking of opportunities, Hurlburt drove to Seattle on Nov. 3, where he attended the Seahawks’ practice and talked with Shaquem 1-on-1. 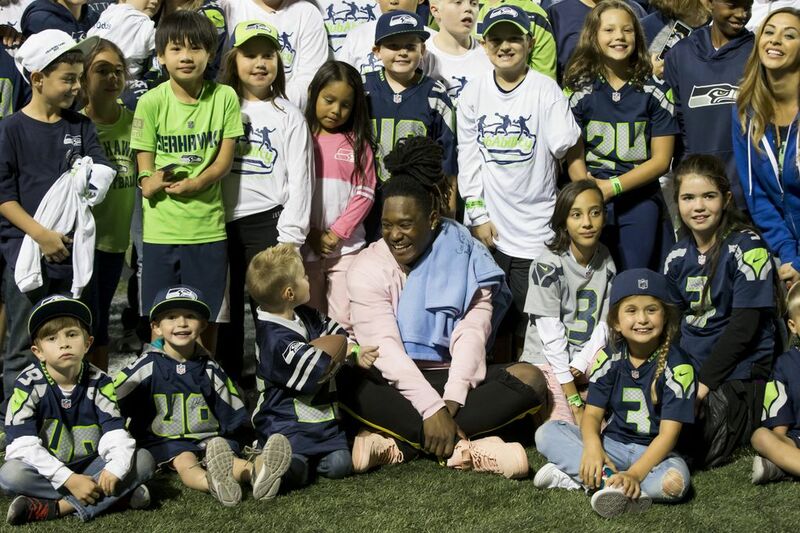 A day later, the Seahawks provided club seats for Hurlburt to watch the team’s home game against the Los Angeles Chargers. This summer, he’ll arrive in Missoula, Mont., to continue an already improbable career. Regardless of appearances or physical limitations, he knows he can succeed. He’s bringing the blueprint with him. “(Shaquem) said watching my film reminded him of himself, and I had been thinking the same thing,” Hurlburt said. “The way he plays reminds me of how I play. Sam grew up watching Jim Abbott pitch. Abbott enjoyed a 10-year major-league career despite being born without a right hand. He also inspired kids like Sam, who was born without a left hand and went on to pitch at Greenville (Ill.) University. When he was 17 years old, Sam decided to start a non-profit organization aimed at teaching and encouraging kids with limb differences or amputations to play mainstream sports. The founder of NubAbility Athletics Foundation needs a lot more T-shirts now. The foundation’s first camp in 2012 featured 19 campers and seven coaches. Their most recent summer camp in southern Illinois was attended by nearly 200 campers and more than 100 limb-different coaches, offering more than 20 different sports. To date, they’ve hosted camps in eight different cities. In August, Kuhnert and Co. held their first camp in the state of Washington at Bellevue Christian School. The campers also attended the Seahawks’ preseason finale against the Oakland Raiders. After the game, Shaquem spoke with the group and posed for pictures for nearly an hour on the turf at CenturyLink Field. He led the Seahawks with seven tackles, and then he celebrated by giving back. “I never expected it to be like this,” Shaquem said of his suddenly prolific platform. “Anywhere I go — if it’s in the country, out of the country — someone is going to know you. If it’s not one (person) it’s probably going to be 30. Those kids keep Griffin going. They keep Kuhnert going, too. What started as an improbable dream eventually brought Sam to Seattle. “The word that comes to mind is surreal, because there’s not a word to describe how joyful it is,” Kuhnert said of the non-profit organization’s rapid expansion. “When I look back at the pictures, just to see how it’s grown from that fire pit the first year to filling up a football stadium, it’s unreal, man, honestly. There’s that word again. Sam, Alex, Daniel, Blake, Shaquem — they’re all different. Not worse. Not weird. Different. Shaquem’s difference is making a difference, one kid at a time. “For the kids that are growing up now, he is their Jim Abbott,” Kuhnert said. “He’s the guy who’s setting the precedent for how they approach their athletics, how they approach their life. He’s not only living life as an athlete, he’s living life to serve others, man.